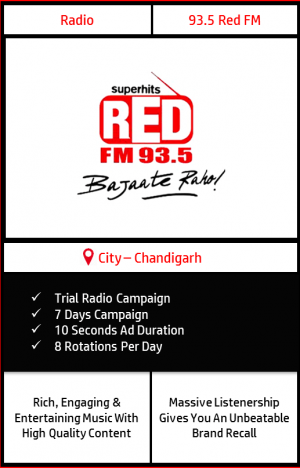 Book Radio Ad on 93.5 RED FM, Chandigarh and reach up to 3 lakh daily listeners. 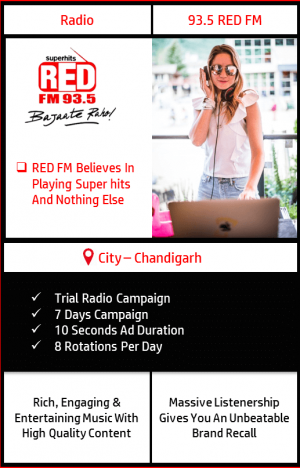 Highly Recommended Package By BMK To Try Radio Especially For The 1st Timers. 8 rotations of 10 seconds each would be played per day consecutively for 7 days on 93.5 RED FM, Chandigarh.